A baby shower is such an incredible experience. 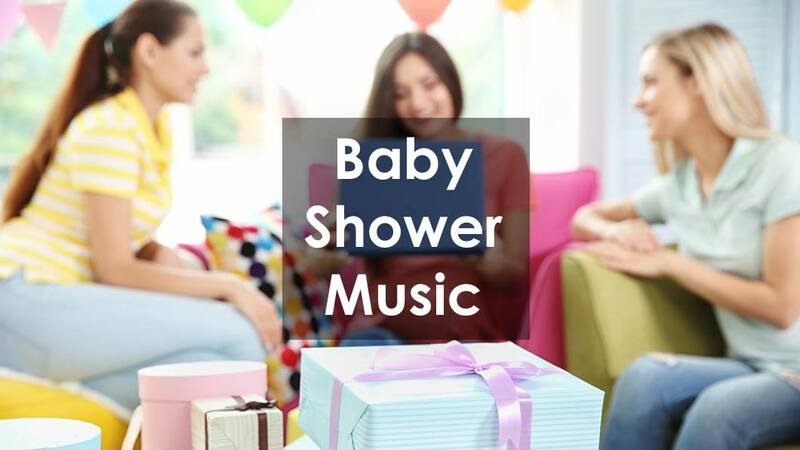 There are so many emotions in the air, and one thing that really opens everyone up to share the intensity of the moment is an incredible baby shower playlist. This article shows you how to pick the perfect baby shower music. It also includes over 83 of the most popular baby shower songs to help you set the perfect mood! Simple, just pick your favorites from the list! If your guests aren't sharing some good cries and having some deep belly laughs, then you'll be missing out. Music is the emotional language that we all speak, so let it set the mood at your baby shower. For example, consider the song above. It opened up the waterworks (joyful tears) at my baby shower for several of us! For you, the past few months have been an emotional journey through all kinds of highs and lows. You've experienced raging hormones, silly cravings, and have felt your child growing in your body. Now it's time to look to the future for what is to come. It's time to gather your closest friends and family and have a baby shower! Whether you are throwing your own shower or your favorite aunt or even your bestie is planning it (check out our guide on getting a great gift for your hostess), a lot of work goes into the celebration. When you finish choosing an incredible theme (check out the best themes here!) and thinking about the location, decorations, and food, it's time to put some thought into a playlist! Music sets the tone for your baby shower! So, take some time to sit down and think about the songs you would like played. The first thing to think about when selecting the music for a playlist is the type of energy or mood you want everyone to experience. Do you want it to be upbeat and happy? Maybe a little nostalgic? If you are planning the shower for someone else, make sure to ask the mom-to-be about her favorite songs. Talk to her about her favorite genres and artists. Better yet, you could ask her to come up with the list. Make sure to think about the different types of emotions that will be present at the party. The parents-to-be probably are not feeling the same way as their guests. It is important to play on the emotions of everyone in attendance so everybody feels connected in the shared experience. Include some sentimental stuff, but also some happy, fun songs too. Balancing out the different emotions is a great way to share music space! Mixing it up is a good idea so everyone feels engaged. Finally, it is time to create the playlist. The best way to do this is to look for songs that capture the emotions you identified in the earlier steps. Be sure to include your favorites or the new mom’s favorites if you are hosting the shower for her. A great way to do this is to use our list (below), which includes the most popular songs for baby showers, to create your perfect playlist. These are the best baby shower songs out there! You can also use Google search or YouTube. You can search via artist or even lyrics. Just keep exploring until you find the perfect songs! It is so surreal to look at the time that passes in the nine months a woman carries a child. Not only do you grow physically, but your emotions are taken on the most intense roller coaster you could ever imagine. The journey of pregnancy is a huge transition for a mom. If it is your first pregnancy, you go from being responsible only for yourself to supporting an entirely new being inside of you. Once her child has been born, a mom’s life changes forever. The perfect playlist captures the transition that her mind, body, and soul just went through. Yet, it can also capture what the future holds as mom and baby continue the journey of life together. The playlist is a great way to share those feelings with friends and loved ones. Also, don't forget cute favors for all of the baby shower guests! It's an incredible way to send guests off with a lovely treat! One great idea is cute little favor bags. What you put in the favor bags can be very simple. One super cute way to display the favor bags is to make a favor bag cake! You can find pre-done kits to make this really easy! This Favor Bag Cake Kit with 50 favor bags has everything you need to create some lovely favors for guests! Another fun idea is to take some silly pictures at the baby shower. You can have a photo booth, or just some simple props. Either way, everyone will have a lot of fun taking some silly pictures to remember the baby shower forever! This Baby Shower Photo Props Kit has 29 super cute props that everyone can have fun with while taking some silly pictures! There's also other great photo prop kits available, so check them out! Whether you are having the most incredible pregnancy or one that has not been so wonderful, it is the most beautiful, natural experience one can have. Pregnancy should be documented, and pictures and music can really help capture the ups and downs. A very popular trend is to create a picture slideshow documenting this exciting journey into parenthood. This pairs perfectly with your music playlist! In this slideshow, you could synchronize pictures and music of the moments that you will cherish forever. This is a fun way to relive the experience and to share with the ones you love. So, if you are planning your shower now, it would be a great time to think about what songs you would like to play. The list below is a great resource for ideas for finding the perfects songs for babies slideshow. Also consider having a musical themed baby shower, not just a playlist in the background. Songs About a Baby Boy or Girl? Many song artists have written lyrics with their children in mind. I think a great theme to stick to for your playlist is to select songs that talk specifically about having a boy or girl (assuming you know the gender). If not, mix it up! It will add to the anticipation for everyone that attends. Now it's time to list the top songs for babyshowers. I hope you find this list helpful when creating your perfect playlist! I've even included some of the best country songs about having a baby for us southerns. Most of these ideas are songs about babies, although some of them are metaphors. It's great to mix in a few themes so that all of your guests can relate! Make it fun! Below is our playlist with all of our top picks. Just click the play button. Each of the songs in the playlist is also listed individually below with links. Note: the songs listed below all have links to YouTube for your listening pleasure! Below are some of the most popular tunes about having a baby. Some of these are my favorites too! Adding songs with baby in it to your playlist is a great choice. You can make it kind of silly, too, if you want! There's a lot of songs with baby in title that are not about little ones, but they sure are a lot of fun. Below are some great ideas. I have found quite a few on my own, but go ahead and Google “songs with the word baby”. You'll also find a bunch of ideas below that have a song title with baby in it. Sometimes being pregnant fills you with so much joy, that you think that it is literally leaking right out of your pores. You show your baby belly proudly and never get tired of someone asking you how far along you are. Celebrating the birth of a new life is an exciting event. What better way to bring in the joy, but with some fun music to encourage the dancing! I had so much fun coming up with different songs that I decided to create my own playlist for babyshower songs, too! When looking for the perfect songs for a baby shower, take time to listen to different songs. Think about the feelings you want to portray, the emotion you would like to evoke. Remember, music says the things that words cannot.